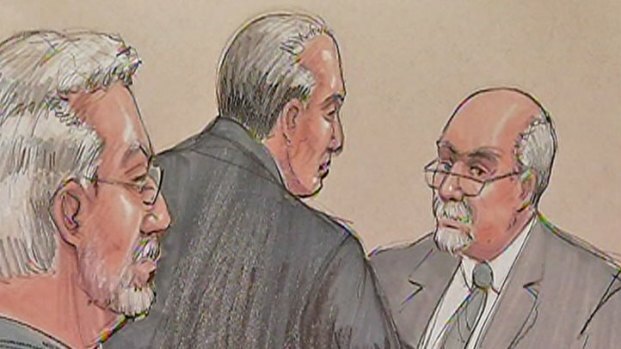 Drew Peterson listens as Judge Edward Burmila denies the former Bolingbrook police sergeant a new trial in this Feb. 21, 2013 courtroom sketch. After two days of witnesses, Judge Edward Burmila on Thursday denied a new trial for convicted wife murderer Drew Peterson. Burmila immediately proceeded to sentencing Peterson to 38 years in prison. Peterson, 59, faced a maximum 60-year prison term. Will County State's Attorney Will Glasgow asked for the longest sentence possible, telling the court there was an "absolute likelihood these actions will reoccur." Day two of a hearing to decide if Drew Peterson will get another trial ends without a decision from the judge. Kim Vatis reports. "Set a strong message that these actions will not be tolerated," said Glasgow. "[Peterson] should never ever be back in society to wreak the havoc he has wreaked for so long." Peterson attorney Joe Lopez asked for leniency, telling the court that Peterson has had two bouts with skin cancer, high cholesterol and high blood pressure since entering jail in May of 2009. In the latest proceedings, the former Bolingbrook police sergeant's current legal team argued Peterson should get a new trial, in large part, because Peterson's longtime lead attorney, Joel Brodsky, allegedly bungled the case by calling a witness whose testimony ended up helping the prosecution. 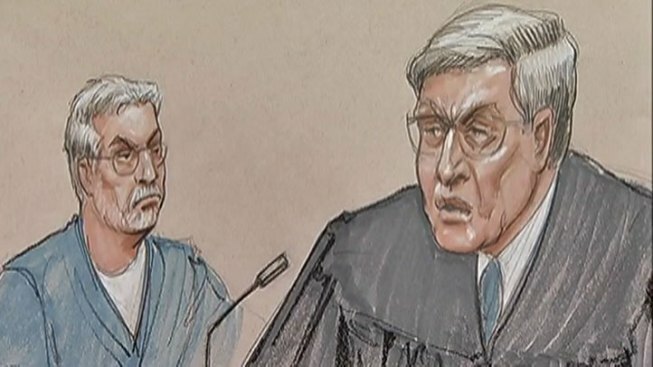 In court Wednesday, retired judge Daniel Locallo, who was not connected to the case, testified that "it was not a reasonable trial strategy" for Brodsky to call divorce attorney Harry Smith to the stand during the murder trial. Smith testified that Peterson's fourth wife, Stacy Peterson, told him her husband killed his third wife, Kathleen Savio, and that he warned Stacy she had to tell someone. Several jurors said that bombshell testimony led them to convict Peterson. "Now the jury was able to hear Stacy having conversations with Mr. Smith about it might be used in her leverage against Peterson," Locallo said, recalling how Will County State's Attorney James Glasgow called the testimony a "gift from God." 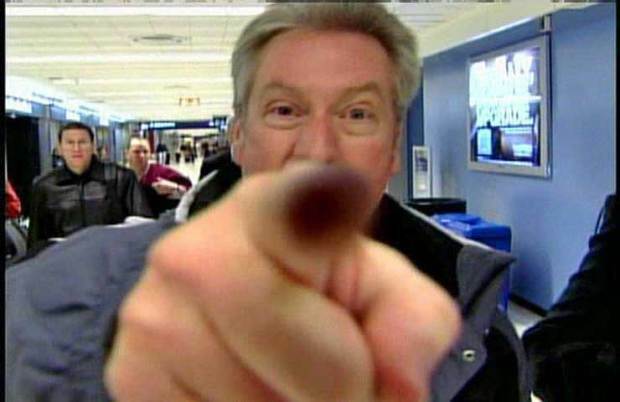 Drew Peterson was back in a Will County court on Tuesday trying to prove to a judge that he deserves a new trial. His defense team argued that one of his former lawyers, Joel Brodsky, botched his defense. Kim Vatis reports. Peterson was found guilty in September of murdering Savio. He is also a suspect in Stacy Peterson's 2007 disappearance but has not been charged in that case. During Wednesday's hearing, the judge asked Greenberg why he and other attorneys hadn't objected to Brodsky's call to put Smith on the stand. "You were saying (to Brodsky that calling Smith) was a death knell, a stake in the heart (of your case) ... and you didn't express that to the court?'' Burmila asked Greenberg. Greenberg responded by describing Brodsky's alleged heavy-handedness, saying about his management of Peterson's six-person legal team, "It was a dictatorship, judge." Sitting in an overflow courtroom listening to Greenberg's comment, Brodsky groaned and shook his head. "It's fiction. It's an absolute bald-faced lie,'' Brodsky told a reporter during a break in the proceedings. He also repeated his assertion that Greenberg and the rest of the attorneys had not opposed calling Smith. Brodsky took the stand a day earlier but was not asked a single question about the decision to make Smith testify. "The record is clear that it was a bad decision. We don't need to ask him his opinion because we don't care what his opinion is," said attorney Steve Greenberg. Brodsky strongly refuted the notion that putting Smith on the stand was his decision alone. "Not only did they support it, they realized it was the only move we could make, and I even have emails from (Steve) Greenberg not only approving Smith being called, but actually suggesting a question or two that I ask him," Brodsky said. To bolster their case, Greenberg and his colleagues on Tuesday called a court watcher who testified she overheard Greenberg pleading with Brodksy in a hallway to not put Smith on the stand. "We need him," she remembered Brodsky replying. "I don't know short of laying down in the courtroom and throwing my body around the feet of Harry Smith what more I could have done," Greenberg said outside the Will County Courthouse Tuesday. Legal experts say blaming Brodsky is a longshot because Brodsky was one of five attorneys representing Peterson during the trial. Brodsky's ethics were also called into question Tuesday by a legal professor who testified Brodsky shouldn't have hired a publicity agent for a possible book deal. Additionally, Brodsky admitted on the stand he received thousands of dollars for television licensing rights. As he left court Tuesday, reporters asked prosecutor James Glasgow what he thought of one former trial colleague, Brodsky, being questioned by another, Greenberg. He responded that he'd never seen anything like it. 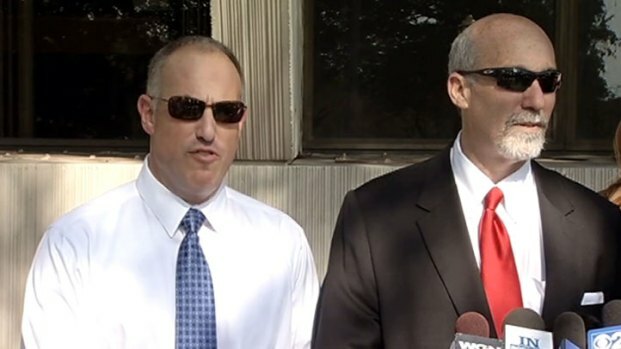 Brodsky and Greenberg have sparred in a bitter public feud recently. Brodsky left Peterson's legal team in November. But Greenberg is still on it. Greenberg initially told the judge that Brodsky didn't want to take the stand. But the judge said Brodsky had no right to refuse and ordered Brodsky to testify. The families of both Stacy Peterson, who disappeared in October 2007, and Savio were also on hand for Tuesday's proceedings. "I miss my sister terribly. I'm hoping that he gets what is coming to him and I hope he gets the max," said Savio's sister, Susan Doman. "I definitely don't think that there is going to be a new trial. ... I'm not going to even go there." Separately, Brodsky withdrew from a civil case filed by Savio’s sisters on behalf of her two children. The children have signed papers to dismiss the suit.